Hey, you know what TAY needs? An advice column. 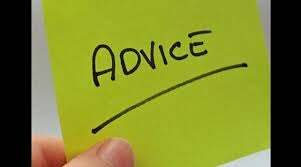 And not just any old advice column, a community advice column where a different denizen of TAY will answer your questions and dole out incredible wisdom each week. Let's make it happen! 1. Email your questions to questionsfortay@gmail.com. Silly, serious, game-related, general life questions - anything! Everything will be kept completely anonymous so feel free to ask whatever you want. 2. Once a week a different TAYer will answer your questions. Guest columnists will have their questions emailed to them about a week in advance, you'll email your answers back to us, and then we'll put the whole thing together and post every Tuesday. Have a question? Send it to questionsfortay@gmail.com, and remember everything will be kept 100% anonymous. Want to be a guest columnist? (C'mooon, you know you do!) Speak up in the comments below or contact Barkspawn or Unimplied. If you do want to participate we'll need to be able to contact you via email.